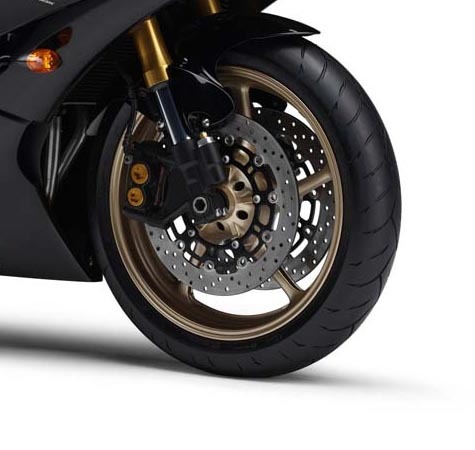 Armstrong Motorcycle Brake Discs optimise brake performance with a more efficient area of pad contact compared to standard round discs. Laser cut from premium Japanese induction hardened stainless steel, diamond ground for the perfect finish, these discs not only look great but also offer lighter weight over standard OEM models. The reason to have wavy discs is that they keep the rotors cooler for longer due to the gaps in the disc and the larger surface area. Floating brake discs don't warp during heat/cooling extremes because the outer rotor expands off the centre carrier and contracts back onto the carrier as it heats up and cools. This keeps the carrier (centre part of the disc from warping) being physically disconnected from the heat. Induction hardening is a form of heat treatment in which a metal part is heated by induction heating and then quenched. The quenched metal undergoes a martensitic transformation, increasing the hardness of the disc. This maintains a long service life, durability and resistance to catastrophic failure. Please note:- Armstrong brake discs for Suzuki Motorcycles are sold individually. 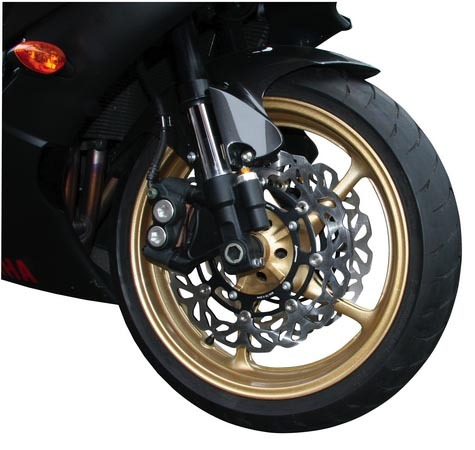 If your motorcycle is fitted with twin front brake discs, you will require 2. 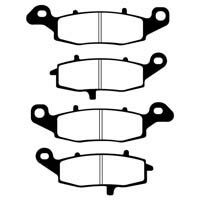 It is advisable, to avoid brake imbalance, to replace front discs as pairs, and also replace the brake pads. Armstrong front disc rotors can be fitted to either the left or right side (unless otherwise stated) i.e. they are not handed. Pictures on this site are for illustrative purposes only and do not necessarily indicate the item being sold. Suzuki SV650/S (ABS Models - 2007 to 2013) Armstrong Front Wavy Brake Disc. Suzuki SV650 / SV650S (ABS Models - 2007 to 2013) Armstrong Rear Wavy Brake Disc. 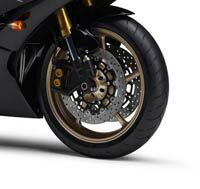 Suzuki SV650 / SV650S (Non ABS Models - 2003 to 2012) Armstrong Rear Wavy Brake Disc. Suzuki SV650 / SV650S (ABS and Non ABS models - 2003 to 2013) EBC front brake pads (FA229 / FA231) and rear brake pads (FA174). Available in either:- 'FA Kevlar' Series or 'HH' Sintered Series.